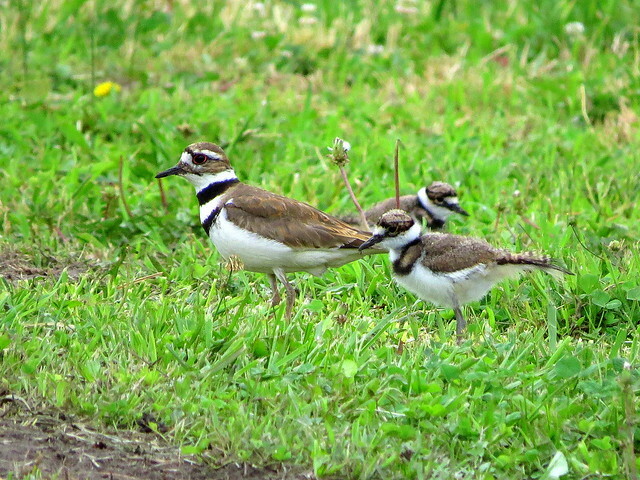 The adults have a brown back and wings, a white belly, and a white breast with two black bands. 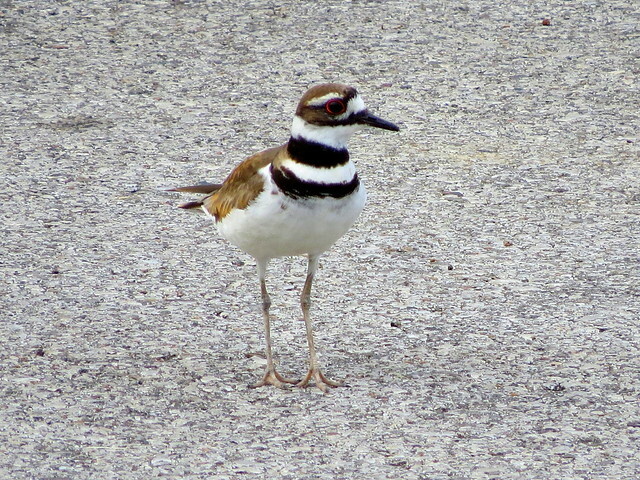 The face and cap are brown with a white forehead. The eyering is orange-red. The chicks are patterned almost identically to the adults, and are precocial — able to move around immediately after hatching. 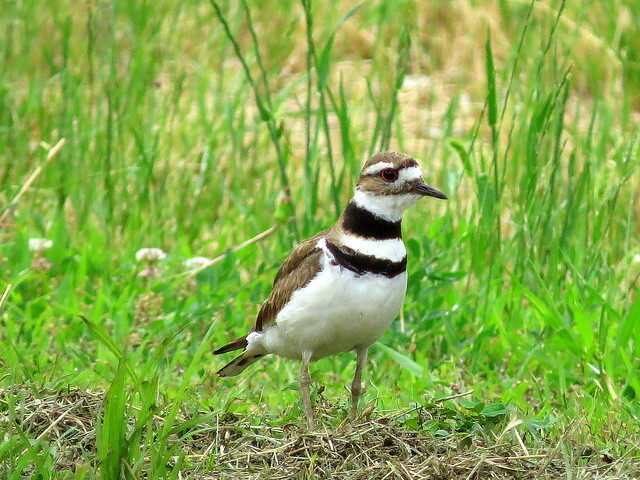 The parents often call their young, as they wander here and there. 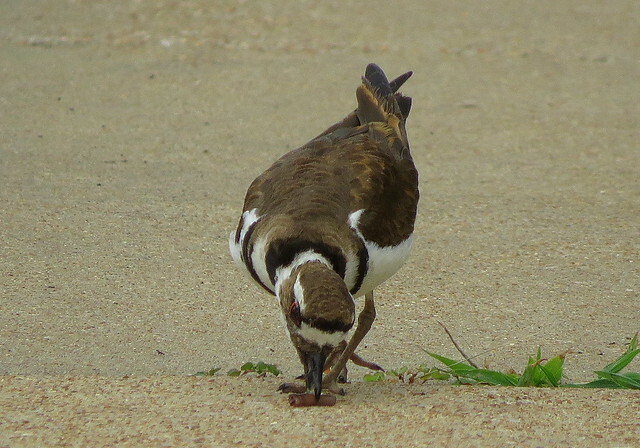 I am sorry to say that over the years, I have never heard anything from any Killdeer that sounds like their name (“It is named onomatopoeically after its call”) The call I’ve heard is always a fluting kind of cry. 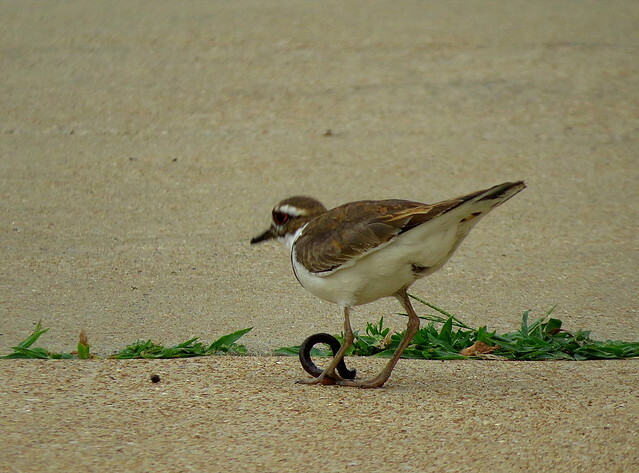 Maybe the “killdeer” is its song? 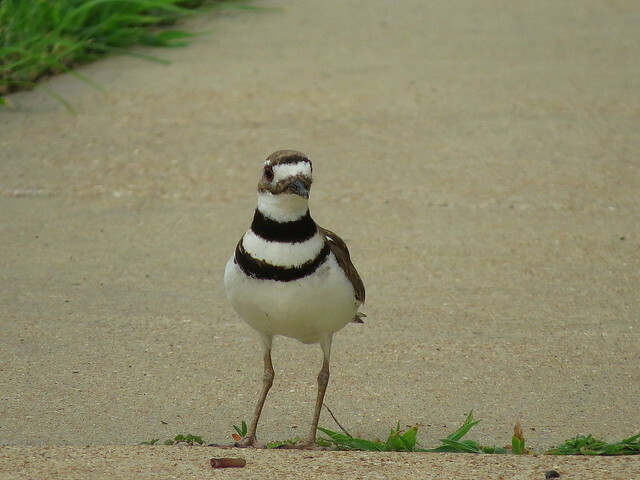 So I am enjoying the Killdeer family that’s made this street its temporary home, and it’s great fun to see one or the other looking up at me from the front lawn or the crown of the road. This year, I haven’t seen the “lame-wing” behaviour (it’s called a distraction display) that they are known for, but that’s because the babies are already out of the nest, wherever it was. 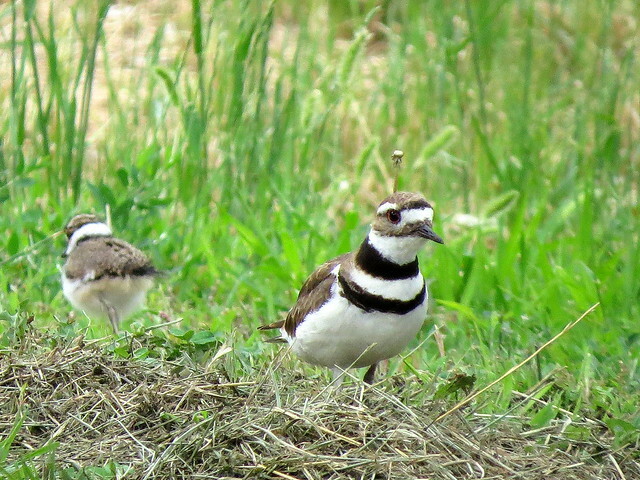 They certainly are not dangerous to deer, but these pretty birds are entertaining me very much for the past few days, and I will miss them when they finally go off!